So, who figured out my clue from my last blog post? "You won't want to Let It Go". Yes it was Frozen - Elsa to be specific. 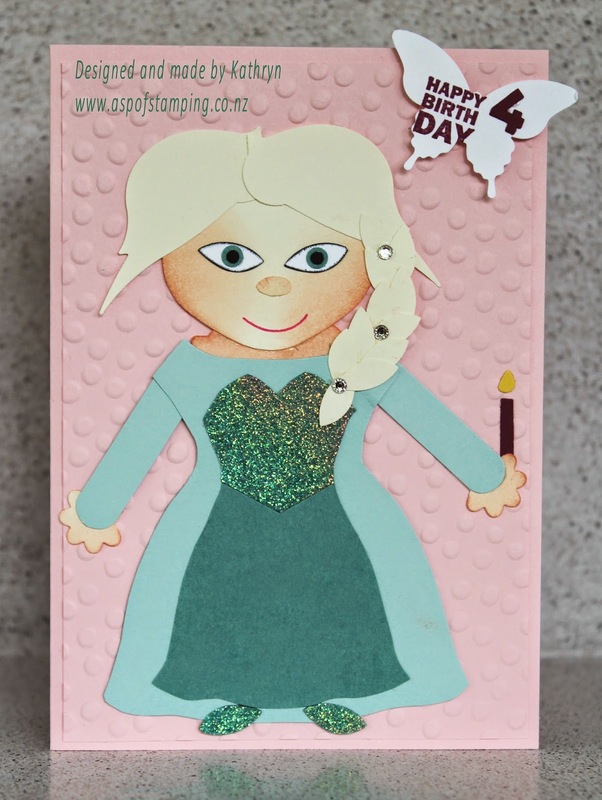 Here I made a punch art Elsa for a birthday party my youngest daughter was going to. The birthday girl's Mum said she likes anything to do with Frozen - and who doesn't in that age group these days it seems.